Take your HK91 Carbine weapon to new levels by giving it best-in-class KeyMod capabilities with the 9.6" HK 91 Carbine KeyMod Handguard for Firearm Use from AIM Sports. This modern handguard rail features a sleek, streamlined design and an ultra-low profile while still providing generous mounting space to accept all KeyMod accessories. Equipped with 5 KeyMod rows, the 9.6" Carbine KeyMod Handguard has enough room to handle even the most elaborate KeyMod accessory configuration. 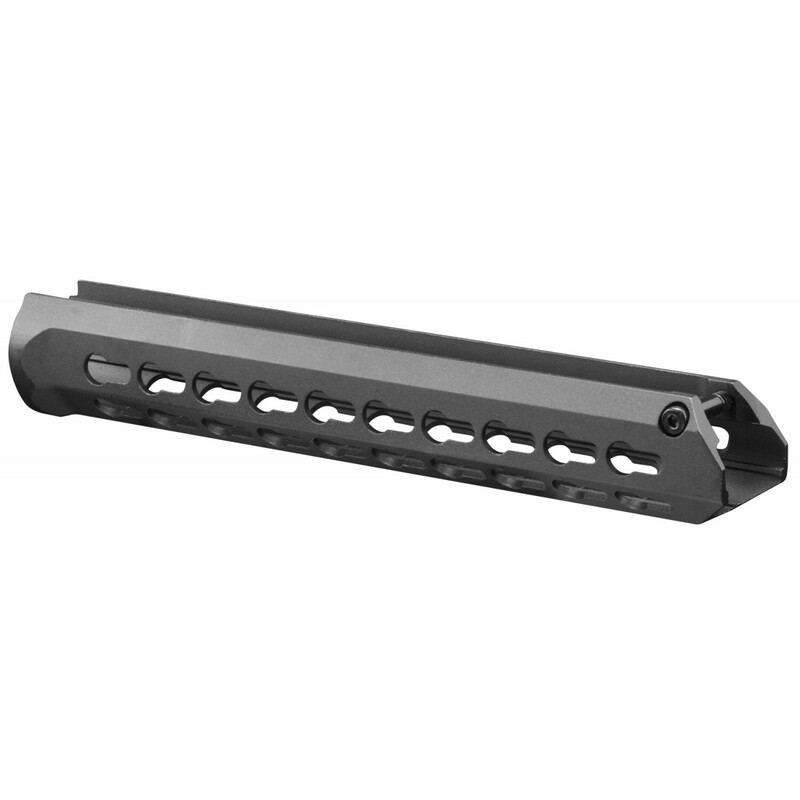 But what truly separates this handguard rail from other HK rails on the market are its superior ergonomics and simple, drop-in installation. In just seconds, you can have incredible modularity on your HK91 carbine-no gunsmithing required! Both lightweight and durable, the AIM Sports 9.6" Carbine KeyMod Handguard is made from 6061 T6 aluminum and features a black anodized coating for extra weather-resistance and combat-ready aesthetics. (Note: Model is for carbine-length variants only.) Order the AIM Sports 9.6" HK 91 Carbine KeyMod Handguard for Firearm Use here at Airsoft GI now!